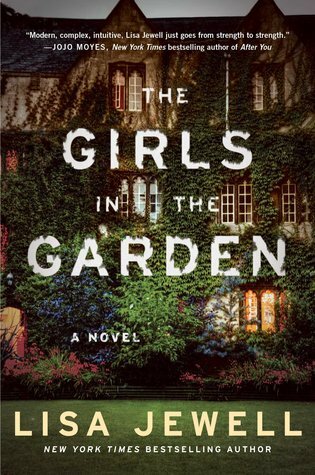 The minute I read the premise for The Girls in the Garden I was hooked! There is so much mystery in the telling of what this book was about that I just had to know! The Girls in the Garden does not disappoint! And it definitely lives up to it's expectation when it comes to a thrilling reading experience. Once started, I couldn't put this book down! I know I've said that about other books, but I really, truly struggled with putting this one down! It is a masterpiece of a puzzle that you'll just want to put together, piece by piece. The setting alone is enough to enchant you and pull you in gently. You begin the story right at the the discovery of Grace, and are then taken back in time leading up to this event. Lisa Jewell did a tremendous job at painting this vibrant story! It's also one of the most well crafted multiple perspective books I've read. It was delivered flawlessly! Each character has a strong voice and they definitely do not blend into one another. The Girls in the Garden packs a lot of punch but it is put together at a beautiful pace. It's not necessarily a fly-through-the pages kind of read, but rather a savour-the-story experience. You'll find yourself really reading the words and taking in all of it's gripping stories. The Girls in the Garden will keep you enthralled from page one, and will leave you mourning the story's end. This is my first novel by Lisa Jewell, but I instantly became a fan. I cannot wait to devour her previous and future work! This novel is the perfect book to spend reading while soaking up the Summer sun!